What Does A Great Company Look Like? There’s lots of talk out there about what employers are looking for in a candidate. But, hiring is a two-way street. If you take the job, you should expect to be there a while. You’ll have to go in five days each week and spend half of your waking hours on-the-job. Understanding what a good employer is to you is an important part of the hiring process. Each of us is unique. We must know enough about ourselves and our potential employer to ensure it’s a professional fit. Job Seekers - Know What To Look For! We decided to interview some new hires to see what drew them to the company they chose to work for. Over at Fusion Worldwide, they agreed to let us talk to three of their newest team members to hear what makes a good place to work. 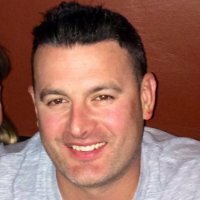 Chris Pinto is an Account Manager who works in the Boston office. He’s been with the company for one month. What do you like about the set-up of the company? Fusion Worldwide has a great small-company culture. It’s a fast-paced atmosphere with a lot of earning potential. What are two things that make them standout compared to previous employers? The people are great and the technology is superior compared to what I have used in the past (and I have worked for a few fortune 500 companies). 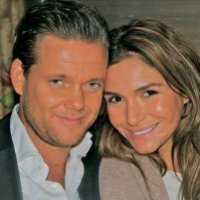 Hans Boelen is an International Account Manager based in Amsterdam, the Fusion Worldwide EMEA (Europe, Middle East, Africa) Headquarters. He started with Fusion three weeks ago. How important is the work-pace of the company to you? I have worked on stock exchanges most of my career, which have a hectic atmosphere that pressures you to make many quick decisions and produce deals. It is also very important to be able to build strong lasting relationships, to provide you with the best possibilities to make a deal in the future. When I came to Fusion Worldwide for my first interview, I felt at home immediately! I knew I wanted to work for Fusion Worldwide when I heard the people calling on the phones and working together to close deals; while providing clients with the best buying opportunities. How did the personalities of co-workers affect your decision to join Fusion Worldwide? Following my subsequent interviews with Fusion Worldwide, I had a really good feeling about my fit in the company. Everybody in the office was especially open, and it was clear to me that I would have all of the help I would need to get the necessary knowledge that would enable me to make great deals with clients! How does communication between teams work in Fusion Worldwide? Fusion Worldwide is unlike other organizations I have worked at before, because it has an exceptionally communicative culture with short lines. That makes it easy to get deals done faster and improve our relationships with clients even more. 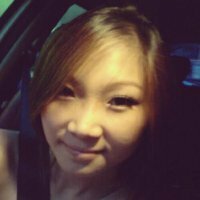 Esther Ho is an Account Manager in the Singapore offices. She has been on the Fusion team for the last seven weeks. What were your two must-haves in an employer and how did Fusion Worldwide fit them? I really wanted to work for a US MNC (US Multinational Corporation). Fusion Worldwide gave me that chance, plus the potential to grow as a professional and earn an income that would take the stress out of bill paying. How does the teamwork style factor into your confidence in your ability to succeed at Fusion Worldwide? Everyone is so helpful. They’re willing to coach and advise me whenever I have questions. They’re willing to share their knowledge whenever it benefits the team. How would you describe the intensity of the office? It’s an exciting and fun place to work. Each day offers a new challenge and a few laughs. To feel good about your new employer, you need to be clear as to what key traits need to be present to make you happy. No employer is perfect, but you can find the right fit if you understand what you are looking for! And, for those of you that liked what you heard about Fusion Worldwide, check out their job openings. They are still hiring! Tired of waiting around for the perfect job candidate? Let us do the work for you! Learn how our Employment Branding services can help your company connect with the best job candidates and acquire top talent.